High precision porous ceramic vacuum chuck "aeroFIX"
With improvements in miniaturization and high-precision technologies, and higher performance of solar cells, LEDs, semiconductors, LCDs, organic EL, PCBs, and a broad range of other products, there is growing need for vacuum chucks that deliver higher levels of precision and performance. The aeroFIX developed by NanoTEM is a completely new type of vacuum chuck that utilizes our original ceramic sintering technology to resolve the issues facing conventional through-hole type vacuum chucks! Manufacture and sell vacuum chuck for semiconductor, flat panel display and printed circuit board industries. Offer grinding, lapping, polishing, dicing service, and supply consumables for sapphire substrate used in blue and white LEDs. Offer grinding, lapping, polishing and dicing service for hard and brittle materials such as ceramics. Ceramic with uniform pores (micrometer in diameter) and its original vacuum unit fastens workpiece onto the chuck surface without causing deformation. Shapes can be customized according to workpiece. Ultra-thin dicing blade (diamond) for cutting semiconductor substrates, also for hard and brittle materials such as sapphire, quartz glass and silicon. Ranging from 50-500μm in thickness. Diamond is harder than the bond matrix, and the bond wears off faster exposing the diamond. This enables the diamond to continue contacting the workpiece. Further, the porous structured wheel with a porosity of 40vol%, allows water and air to pass through itself giving enough coolant. 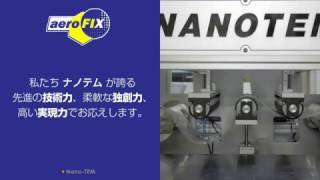 Through our continuous effort in developing the next generation grinding technology, NanoTEM's grinding machine provides new solutions for semiconductor and flat panel display industries that keep growing and expanding.